Please complete the following fields to receive bids for Lexus Transmissions! If you’re looking for used Lexus transmissions at competitive prices, fill out the form above and ASAP Motors will instantly connect you with our network of reputable auto parts brokers. Lexus, the luxury division of Japanese automaker Toyota, was founded in 1989 to target the American premium market. 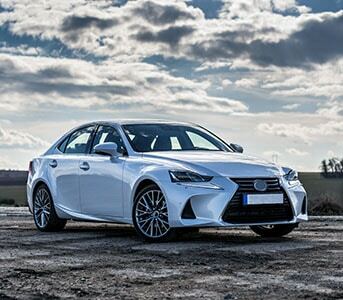 Lexus has been consistently named as one of the most reliable car brands in the U.S., and despite many brands facing recent issues with transmission reliability, Lexus’ have retained their reputation for dependability. If the transmission in your Lexus goes out, purchasing a used Lexus transmission might be the way to go. It’s often multitudes cheaper, easier to locate the right parts, and can be done right here by filling out a simple form on our website. Our parts locator service is completely free and typically returns multiple offers per request. There is no obligation to the customer and it only takes about 10-15 seconds to complete the required form. Getting started online is easy and fast. Submit your vehicle information & receive offers via phone or email. We offer a reliable service with quotes that can’t be found anywhere else. Get pricing, warranty, and location information in just minutes. Whether you’re looking for an eight-speed automatic transmission or continuously variable transmission (CVT), we can help you find exactly what you need at a price that’s right for you. Lexus was founded around the same time that Honda and Nissan founded their luxury Infiniti and Acura brands, and was created to cater to Americans’ desire for reliable high-end cars. Although Lexus recently stopped producing manual transmissions, one previous model was available with a manual. Its eight-speed automatic transmissions were introduced in 2006, and all of its hybrid models are equipped with CVTs. Q: How much do used Lexus transmissions typically cost? A: Although the price of your transmission will depend on its specific year and model, most used Lexus transmissions cost between $250 and $1,500. Q: Who makes Lexus transmissions? A: All Lexus transmissions are either made by Toyota alone or in collaboration with Aisin, an auto parts manufacturer. All A-series Lexus transmissions are made by Aisin. Q: Which Lexus models use manual transmissions? A: As mentioned above, Lexus has only offered one vehicle model with a manual transmission, the Lexus IS. However, some current Lexus models feature automatic transmissions with manual control. The Lexus LS 430 is a variant of the Lexus LS, a full-size luxury sedan that’s been in production since Lexus’ inception in 1989. The LS 430 belongs to the third generation of the LS and was produced from 2000 to 2006 with either five-speed or six-speed automatic transmissions. The Lexus GS 430 is a variant of Lexus’ GS executive car. All GS models were and are offered with six-cylinder engines and rear-wheel-drive, and the GS 430 specifically was available with either a four-speed or five-speed automatic transmission. In production since 1998, the Lexus RX is a mid-size crossover SUV that has included hybrid options since 2005. Organized from the earliest models to the most recent, the RX has been available with a four-speed automatic transmission, five-speed automatic CVT, six-speed automatic CVT, or eight-speed automatic transmission.